For me, my Egypt trip was an experience of a life time. From the moment I stepped off the plane, the energy in Egypt was palpable. It is such an ancient land; full of contradictions and the unexpected. It has so much history but there is also evidence of it being a progressive country. (For example, in Luxor there was a device fitted to the traffic lights that indicated how long it would take for the lights to change.) We saw temples and pyramids that had been destroyed, relocated and/or reconstructed and, sacred sights that had been rediscovered after being ‘lost’ for thousands of years. The artistry and foresight of those ancient stonemasons was awe inspiring. Entering the Queen’s Chambers and King’s Chamber of the Great Pyramid was a very personal experience. In the Queen’s Chamber I felt absolute compassion and peace while in the King’s Chamber I felt strength, power and majesty. Our guide and Egyptologist were very knowledgeable men and were very aware of local culture and norms that guided us throughout our trip. They attended to all details so that our time in Egypt flowed smoothly. At all our stopovers, the accommodation and food was first class. The trip down the Nile was a combination of relaxation, good fun, good food and new and exciting places to see. On the way to catch the flight back, we heard the chanting of evening prayers echoing from three different points in the village. The sound was uplifting. There are many opportunities for shopping those who enjoy this kind of activity. I journeyed with Beverley and the Egyptian team (Ehab & Sabry) to Egypt in 2014. I had personally been longing to travel with Beverley for four years prior to finally making the journey. There are many markers through our lives that we can reflect on and only in hindsight do we realise as being a catalyst for change…. I can not express in words all that transpired for me in Egypt…I know that the ‘I’ that went was not the same ‘I’ who returned. I am forever in love and changed by the tour with Beverley, with Egypt and her grace. Beverley and her team were instrumental in the planning all details with the itinerary…a ‘set and forget’ with every detail of daily needs and travels, from beginning to end were taken care of. Oh my goodness…how the Egyptian people love to take care of you and to show you the beauty of their country. At every moment I felt safe and protected. With all the essentials taken care of, there was space to expand into the energies of Egypt and allow the wisdom of Beverley, the land, the sacredness, the history to saturate every part of my being…Magic and alchemy were / are a given. I imagine that there are many spiritual tours to Egypt available throughout the world…as this is the very foundation of Egypt. But for me to touring with Beverley, knowing her deep love of Egypt that expands far beyond this physical lifetime and galaxy, she was able to facilitate and hold a very safe and expansive space to traverse the many diverse sacred sanctums of Egypt. Which in turn mirrored the sacred sanctums of my soul and inner world that I was able to expand and allow to come forward. Further, I so loved the intimacy of the travel group, everyone together yet completely on their own alchemical journey…each witnessing and in turn witnessed. My deepest gratitude Beverley for all of who you are…I will join you again in Egypt soon. I am extremely grateful for Bev’s planning, holding and supporting us all on this very spiritual and awakening journey. Time spent together in a growing understanding and activation of the elements provided a powerful energy of connection and integration with one another and our universe. This journey through ancient Egypt with Beverley Howarth’s travel planning has been one of the most powerful spiritual journeys of my life. Bev’s gift of insight, her connection with the Egyptian gods and the sacred sites gently leads us all on our own and collective journey. Her ability to hold the energy for the group and bring in other Egyptian guides who respect her work makes the journey very safe and very well managed. To experience Egypt with Beverley Howarth was one of the most memorable times of my life. Beverley brings her love of and connection to Egypt to life as we journeyed through this ancient land. The team she has supporting her and all of us on the tour, are second to none. I was able to learn so much about Egypt, its people and its history as well as the incredible energy this ancient land has to offer. Our accommodation was by far and away the best I have had on any tour I have done, the meals were wonderful both in our hotels and the restaurants we were taken to. Cruising the Nile to many of the Temples and sites along the way was such an incredibly big, yet personally intimate experience for me - to be so close to such a vibrant river and to do it in 5 Star luxury. Being taken care of by Bev and her team of guides, I always felt well supported and safe at every turn. I feel I was able to learn so much along the way about myself as well, and feel I returned home with a much deeper sense of my own personal strength and presence. It has been over 3 years since my trip and I still tap into that incredible Egyptian energy whenever I can, whenever I need it. I wholeheartedly recommend a trip to Egypt with Beverley as the must do trip of a lifetime. 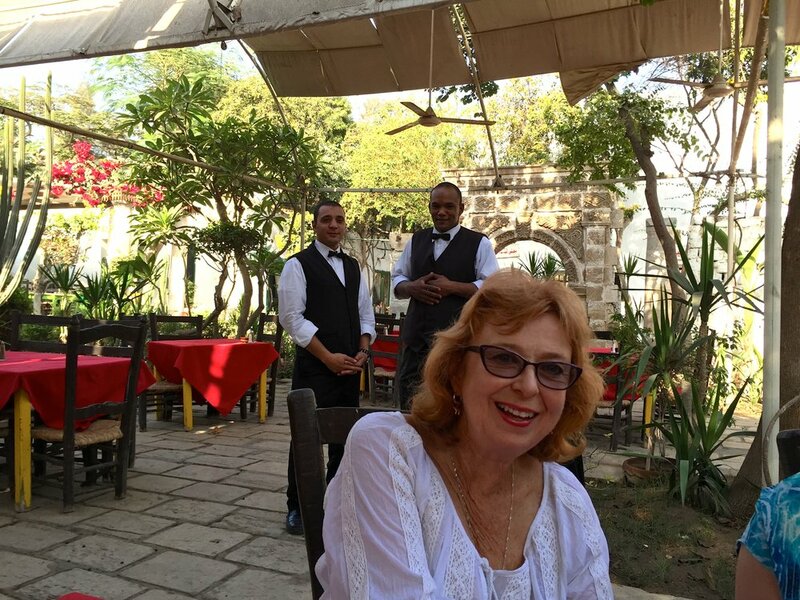 Bev does an amazing job of putting together not only the itinerary but tour guides, accommodation, good food, great site visits, the cruise on the Nile, Miss Egypt. I loved this little boat to see the Nile and surrounds, especially what I call, my pink mountain, as the sand colour to me is not as I know it here in Australia. We also had a hot air balloon ride over Luxor, fabulous to float over Queen Hatshepsut's temple and the village nearby. So many temples with so many stories and energetic feelings. Walking on the sands/ground in Egypt felt so sacred for me I am so grateful for the experience. Visiting Egypt has been a longing for me but I felt only with the right people, not as a “holiday destination” I wanted to experience something from a past life. The two tour guides we had were so accommodating, nothing was a bother, all was handled with no fuss, it felt they were there to please us and make our experience easy to “tune in” and feel our connection. The guides and drivers who drove us through the White Desert, Black Desert and Crystal Mountain areas were so nice to us and I felt totally safe in the middle of nowhere land it seemed, no roads, no directions, just a “knowing”. Their home village was simple, busy stalls, spices, foods and friendly people. The meals at our accommodation were so fresh and so generous. The wonders of nature are awesome to the eye and our energetic bodies (mine at least). Crystal Mountain, just there for us to walk around and see crystals in their natural state/environment. The White Desert was almost unbelievable, I have never seen anything like that, it was all around us. To feel so comfortable with the guides and drivers made this experience more heartfelt for me, to relax and enjoy the beauty and energies. The Black Desert was like looking at a slate tile shop, I know now why it feels good (for me) to walk on a slate floor. We drove to an oasis and watched sunset, truly beautiful, again it seemed to come out of nowhere. When we visited the Temples our guides were there for us, I just knew/felt it. Our Egyptologist was so informative sharing such history with passion, I felt able to relate to his explanations and almost feel I had been there. The pictures/scenes carved on the walls appear as if they were just done, they have been protected and even the colours are quite bright in some. Our Egyptology guide described the pictures as they do show a story in the scenes. To see Isis, Osiris, Anubis, Thoth, Horus, Sekhmet, Hathor, Cartouche, Djed pillar, a feast, solar boat to name a few. Bev was there to “hold” space for us, which again was comforting for me. The Great Pyramid at dawn was exciting, we climbed up and entered the Queen's chamber & King's chamber with the sarcophagus, which we all had the opportunity to lie in. We listened to a Tom Kenyon sound meditation adding to the experience. My experience with the other participants was a good one, we all got along well, sharing our experience in each Temple, site, etc. The whole trip was a heartfelt experience for me and I would recommend it to anyone who wants to visit Egypt and experience what it really is like when you feel safe with the company you are in. I have felt totally cared for since the moment I decided to join the journey with Bev to Egypt in April 2017. This has been a very special time and I would change nothing about my experience. I felt so supported by the entire group of travelers who also participated in this incredible journey. Thank you. Bev – thank you for creating this lovely transformational experience. I am grateful for the ease and flow of the entire journey. Bev creates a masterful journey down the Nile. Going into sacred chapels within ancient temples supported by a team of professional guides is a replenishing and transformative experience. 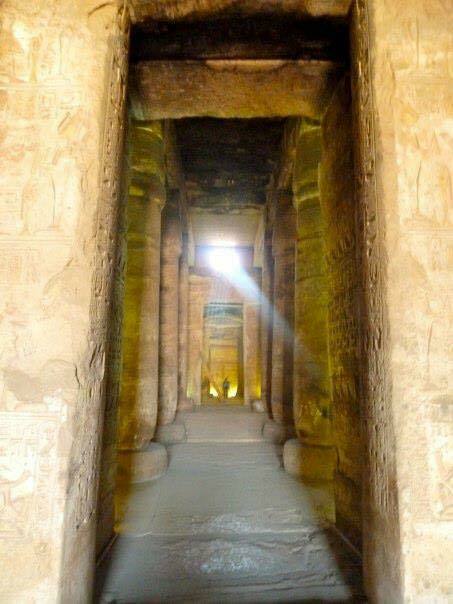 We accessed places that most Egyptians cannot access with ease and flow. If you are called to join Bev’s activations, you will experience expansion in your own unique way. It is a brilliant trip! Travelling with Bev to Egypt was a deeply transformative experience that resonates in my daily life four years later. I could immerse myself in the experience of Egypt as all the details of traveling – food, accommodation, planning, luggage and travel were seamlessly taken care of. It left me free to enjoy the amazing experience that Egypt is. Every day brought something new, exciting and mysterious. Listening to the Egyptologist in the temples brought to life to the stories of the pharaohs, Gods and Goddesses. Ancient Egypt became present in the moment. It is apparent Bev intimately knows the mysteries of the temples, pyramids and lands of Egypt. Her facilitations at these places enabled me to fully and deeply connect with them, and engage in deeply inspiring and moving experiences. 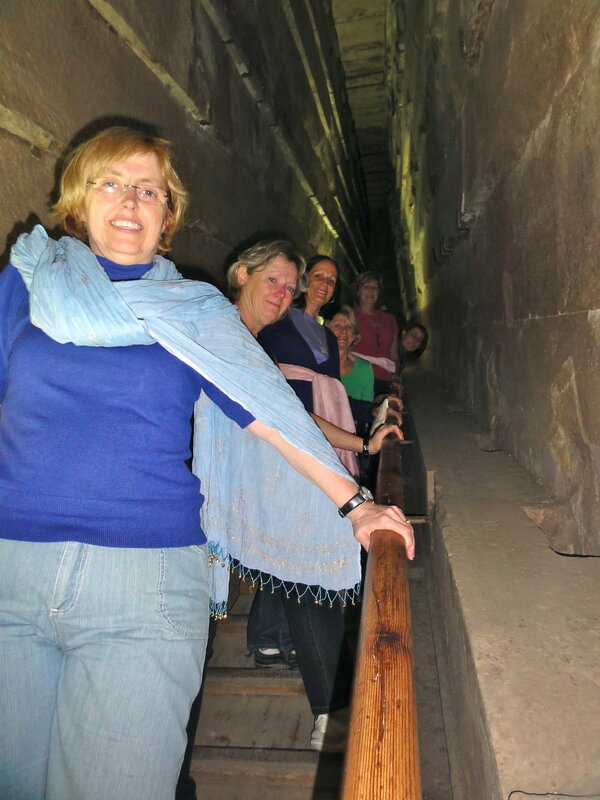 If you want to experience the spiritual depth of Egypt this is the tour that will provide it. This was the trip of a lifetime. Everything was handled professionally and in a extremely friendly manner. The guides looked after us beyond anything I could have imagined, at all times I felt safe and well cared for. The accommodation was first class in every location with exceptional attention to detail. Our Egyptian guide stayed with us at all times sharing his love of the subject and broad range of knowledge. I highly recommend this tour to anyone who wishes to explore Egypt at a deep level. The difference with this tour is that it is arranged by someone who loves Egypt, has visited many times, and wishes to share unique experiences in this ancient land with others. My trip to Egypt with Bev was nothing short of life changing. There was the joy of observing the date palms, the mighty Nile, the smiling children riding donkeys, the sheer size and splendour of some of the ancient temples, the quietness of the desert. But more than all of that, it was a profound spiritual experience of the sacred. Egypt seemed to activate a deeper part of myself which I have continued to feel years after my return. It’s part of me now. I really enjoyed this project for the Alchemical Masters tour to Egypt - twelve sacred oils for elemental activation. Pairing the oils and elements together was quite a magical process and I have a deeper understanding of how and why these oils were used in ancient ritual in Egypt. If you have a longing to travel to Egypt the Alchemical Masters Tour it will be unlike any other tour offered. Beverley Howarth has been to Egypt over 30 times and is a master teacher on the ways of the Ancient Ones and Egyptian Alchemy. I have known Beverley for almost twenty years as both a teacher, a healer and a friend. Her wisdom and passion for this subject, her experience in Egypt, and experience as a healer and psychotherapist make this tour a transformational experience you won't forget. It’s been a great privilege opening myself, allowing myself to connect to the work of The Alchemical Masters Nile Journey. It’s brought awarenesses around other cultures. This journey of discovery that Bev and the team have created has given me amazing expansions. Through this journey I have had a deeper understanding of the ancient heritage we all have. This journey here has made an amazing difference to the absorption of my knowledge. The history of the ancients being repeated time and time again and their templates. The Egyptologist, travel organisation and team have made my Egyptian experience feel extraordinary, that is absorbed at the heart. The realizations of the ancient histories being repeated time and time again through every religion, cultures is amazing. The journey is created in a way to give you a calm, caring, healing at a cellular memory level. It’s extraordinary. Thank you so much. It’s hard to write on paper my feelings. In 2008 I was part of the first group that traveled to Egypt and Petra with Beverley Howarth. It was my first time to Egypt and a truly amazing experience. All the hotels we stayed in were fabulous. Waking up and looking out of the hotel room window to the Pyramids....AMAZING. We were treated like royalty in all our accommodation places always 5 star ... never had to lift a bag except to have it outside the door for pick up. The food was tremendous - I loved the traditional meals, but if special food were required the staff were always happy to oblige and the service was excellent. Our tour guides were remarkable always ensuring we had all the information we required and facilitating “quiet space” for us to absorb the energy in almost every amazing temple and tomb we visited. This “special quiet time” in some of the world’s most ancient and historical structures (consequently tourist hot spots) is a very unusual occurrence and played a large part in creating the uniqueness of our tour. The Egyptologist was outstanding, at every stop providing us with enormous amounts of detailed history about the place, the people and the events that took place, as well as many humorous comments about the government and the way of life in Egypt today. I highly recommend Bev’s tours to Egypt. You will visit some AWESOME places and absolutely everything is taken care of for you. All you have to do is be there and enjoy the journey ... How does it get any better than that? My husband and myself are not experienced travellers so it was with some trepidation that we decided to journey to Egypt. Beverley Howarth, however, made this an easy process. We knew that she had been and still is a regular visitor to this country and had a great depth of experience with managing all aspects of the process and this certainly was evident. The itinerary was well formulated, realistic and incorporated interesting, challenging and some unusual places and situations. There were two guides with our tour, one, the in-country organizer managed the practical aspects of the travel with a consistent level of attention to detail and care. The other was an expert on Egyptian culture past and present. The depth of his knowledge was a consistent source of information and fascination. He was always present to explain, inform and answer questions. Both these people contributed to our experience of being welcomed to the country and feeling safe wherever we went. I would like to add here that our experience of the Egyptian people themselves was very positive. The accommodation everywhere was of a very high “5 star” standard. Our tour incorporated a river cruise down the Nile. This offered a time of quietness, reflection and a time to appreciate the depth of history present in this country. There were also opportunities to join in with the fun of the on boat activities. Everywhere we ate, whether this was at the hotels, on the boat, or a genuinely local restaurant serving the regional cuisine, was also of a high standard. The local restaurants provided an interesting and tasty experience of the various ethnic cooking traditions still flourishing in Egypt. There was, of course, time for shopping. There were also visits to a range of local craft workshops and stores. We visited a number of major archaeological sites. It was here that it became evident that Bev’s knowledge went far beyond the practical aspects of managing a tour. She provided and facilitated opportunities to experience the spirituality of the ancient Egyptian culture. We arrived back in Australia not only having had a great time in Egypt with compatible fellow travellers, with Bev and with the Egyptian guides but also with experiences beyond anything we had imagined as possible prior to leaving. This is a great tour and we would recommend it to anyone wanting to experience present day Egypt in the context of its ancient history. It offers so much more than just intellectual input and information; it offers an experience of the ancient culture and its spirituality. I found the information on Bev’s trip by random accident for which I am so grateful. As I prepare to leave Egypt tonight, I find myself beginning the process of integrating the scale of what I have learned, experience, seen, heard, tasted, digested, regurgitated, eliminated, sorted, recalibrated and absorbed. It is enormous, and it will take me some time to find a way to process it all. It is a continuation of my life’s journey, and the beginning of a whole new level of awareness of multi dimensionality and my own personal access to that awareness. To connect to oneself through the archetypes of ancient Egypt is a gift of transformation, a gift of remembering the divine nature of being human, in all of its physical senses. To then open one’s gates beyond the physical was a gift both from Bev and the Divine. The gentle nature of Sabry and Ehab and the whole crew held the energy of our group so that all these gifts were absolutely precious. Bev, again, whatever you design for our journey I am perfectly happy with. I honestly cannot think of anything that could improve my experience. You lead, I’ll follow. My second journey with Bev to Egypt – each time is a deepening of the experience.